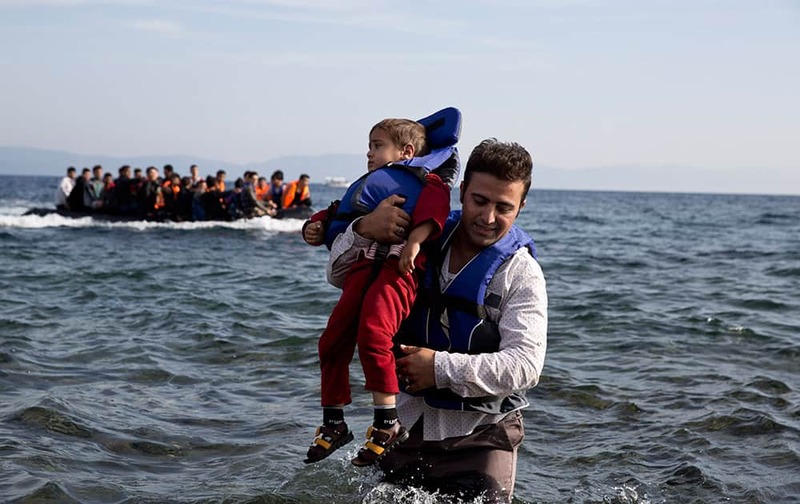 A Syrian refugee carries his child after they arrived from Turkey to the shores of the Greek island of Lesbos, on an inflatable dinghy, with another boat in the background. 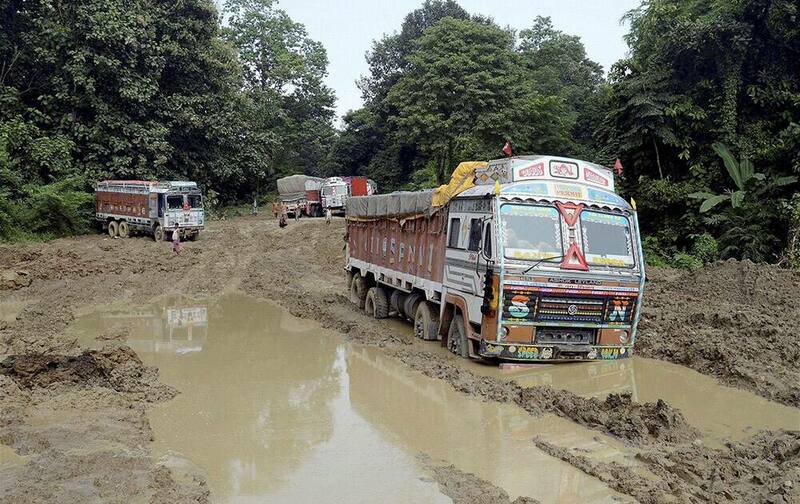 Vehicles stranded at NH 44 damaged due to incessant rains at Churaibari in Tripura. 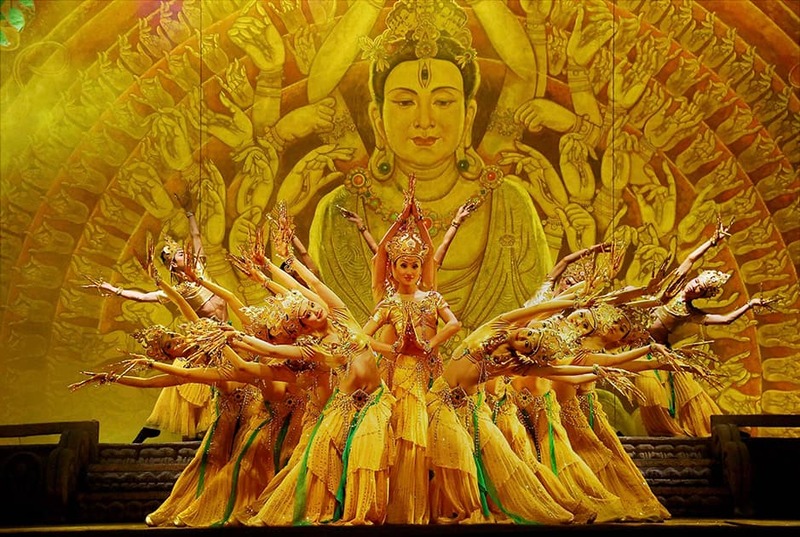 Dance performance by Gansu Opera House at the Chinese Dance Festival 2015 to commemorate the 66th anniversary of founding of People’s Republic of China at the Federation of Indian Chambers of Commerce and Industry, New Delhi. 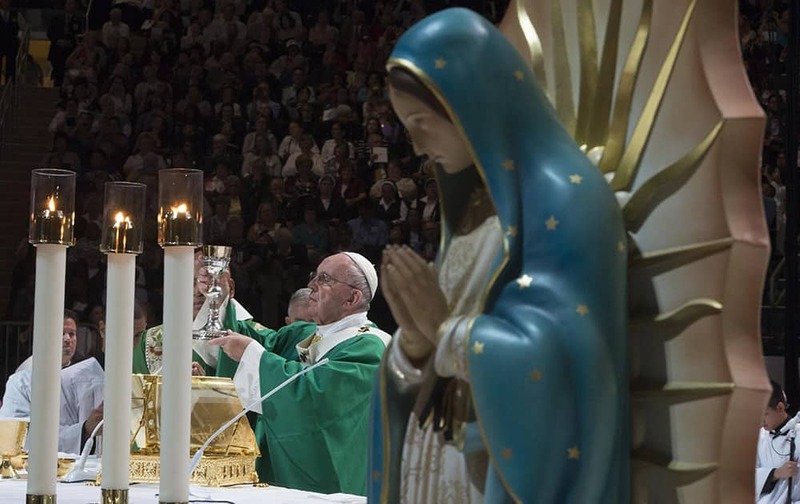 Pope Francis celebrates a Mass at Madison Square Garden in New York. 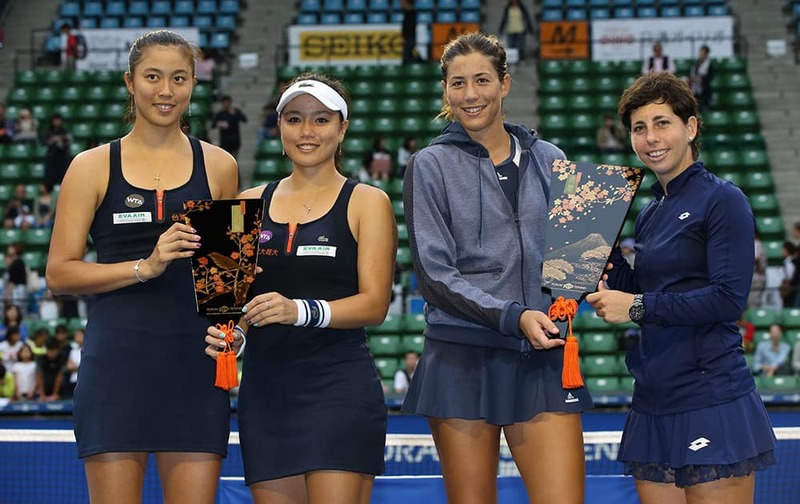 Spain's Garbine Muguruza, and Carla Suarez Navarro, right, hold their doubles trophy, along with runners-up Taiwan’s Chan Yung-jan, second left, and Chan Hao-ching, during the award ceremony at the Pan Pacific Open women’s tennis tournament in Tokyo. 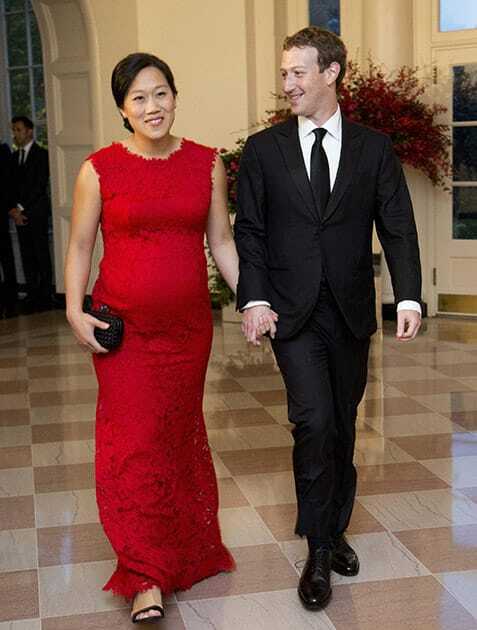 Facebook Chairman and Chief Executive Officer Mark Zuckerberg and his wife Priscilla Chan, arrive for a State Dinner in honor of Chinese President Xi Jinping, in the East Room of the White House in Washington. 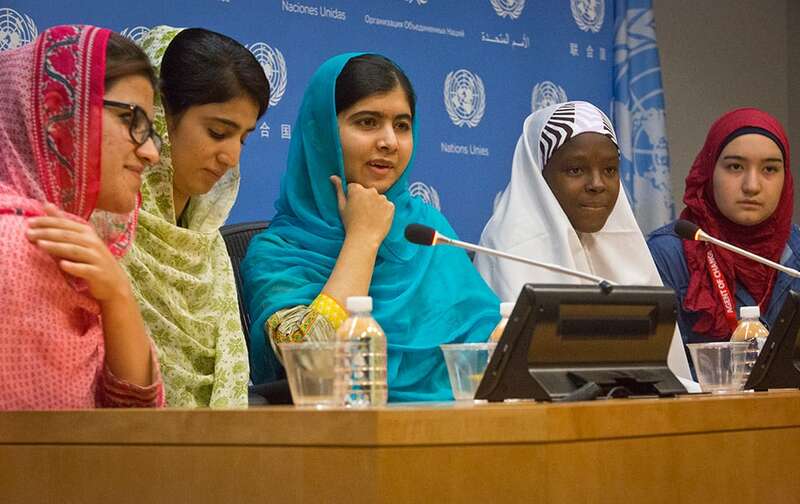 Nobel Peace Prize winner Malala Yousafzai, hold a press conference with her friends and youth activists Shazia Ramzan and Kainat Riaz, second from left, both from Pakistan, Amina Yusuf from Nigeria, second from right, and Salam Masri from Syria, at United Nations headquarters. 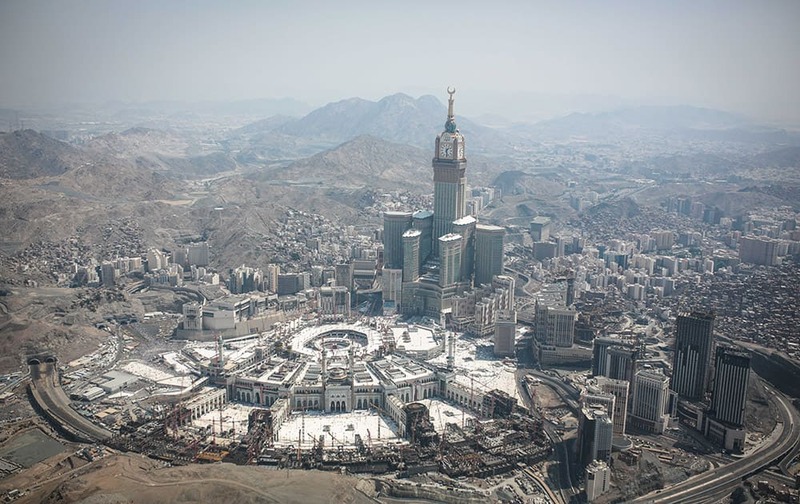 This aerial photo made from a helicopter, the Abraj Al-Bait Towers with the four-faced clocks stands over the holy Kaaba, as Muslims encircle it inside the Grand Mosque, during the annual pilgrimage known as the hajj, in the Muslim holy city of Mecca, Saudi Arabia. 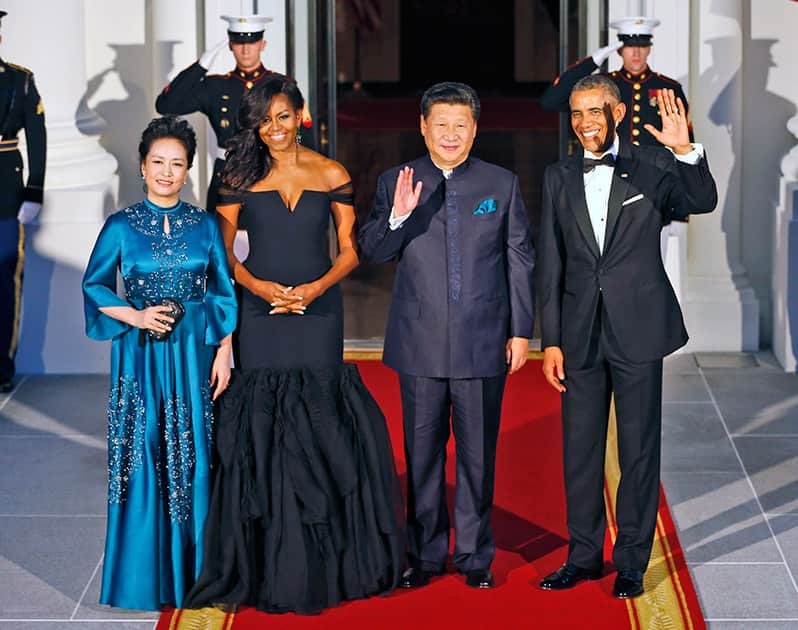 President Barack Obama and Chinese President Xi Jinping, wave on the North Portico with wives Peng Liyuan, and first lady Michelle Obama as they arrive for a State Dinner at the White House in Washington. 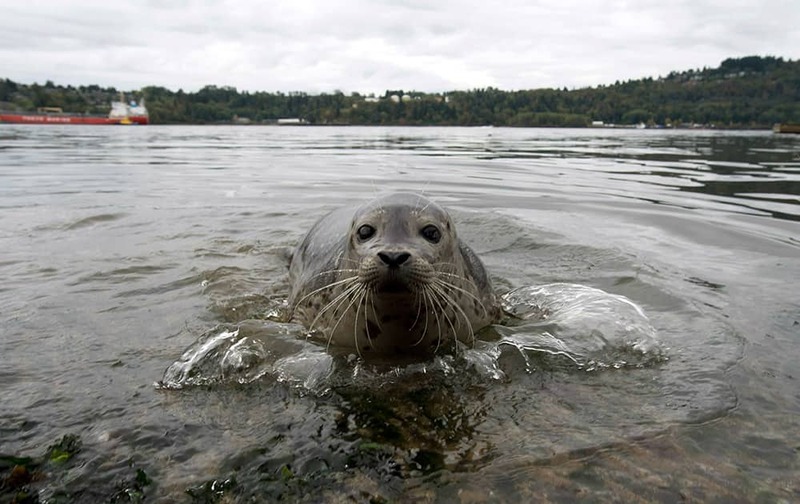 A seal splashes in the water after being released back into the wild at Cates Park in in North Vancouver, British Columbia. First lady Michelle Obama and China’s first lady Peng Liyuan, are greeted by third graders from Yu Ying Public Charter School in Washington, during a visit to the Smithsonian’s National Zoo in Washington. 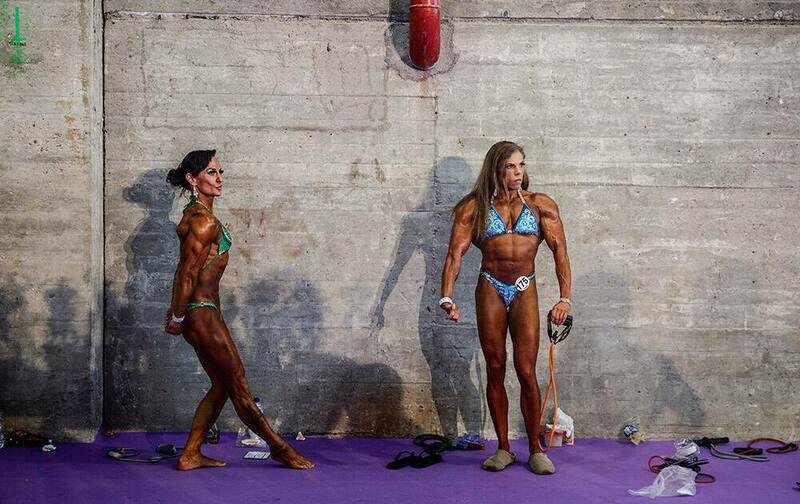 Competitors warm up in the backstage area of the Arnold Classic Europe bodybuilding event in Madrid, Spain. 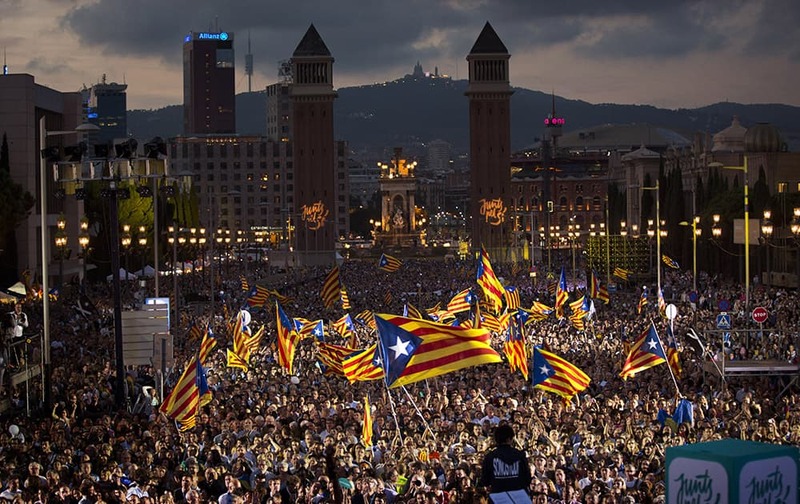 Pro independence supporters wave 'estelada' or pro independence flags during a rally of 'Junts pel Si' or 'Together for YES' in Barcelona, Spain. 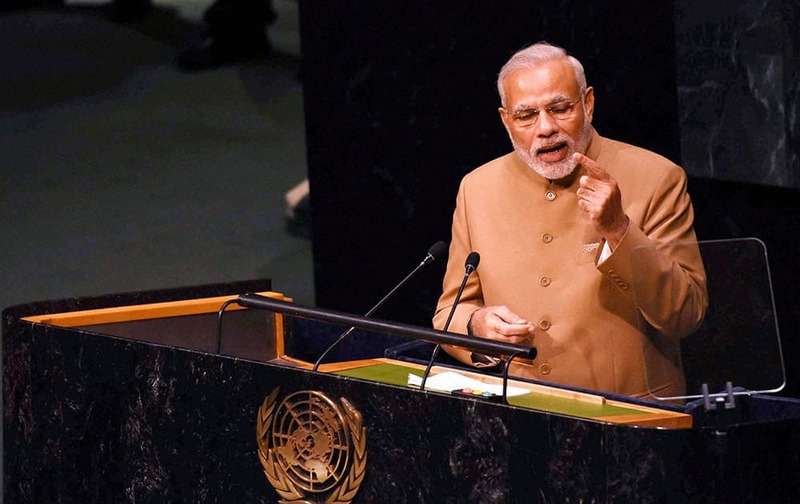 Prime Minister Narendra Modi addresses the 70th session of the United Nations General Assembly at UN headquarters in New York. 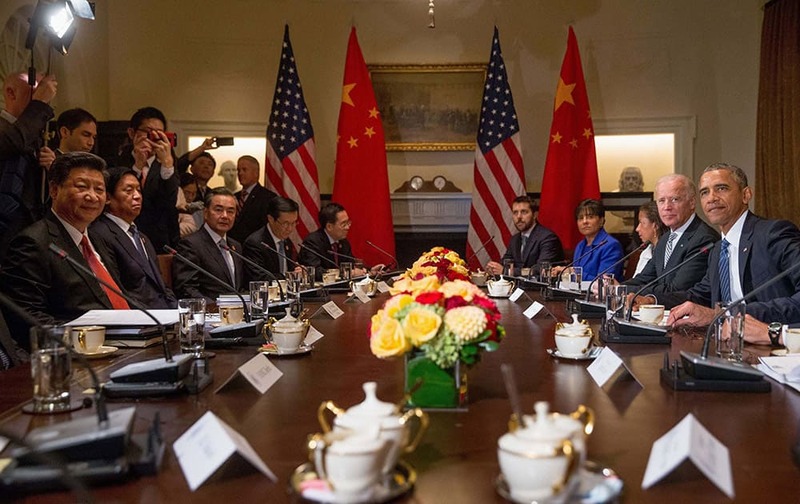 President Barack Obama, right, accompanied with Vice President Joe Biden, second from right, holds a bilateral meeting with Chinese President Xi Jinping, left, and other officials, in the Cabinet Room of the White House in Washington.